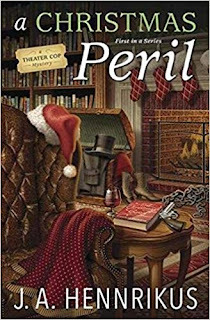 A Christmas Peril is the first book in a fun new mystery series. It focuses on Sully Sullivan, a former police officer who now manages a local theater. 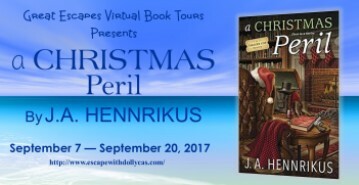 As she prepares a production of A Christmas Carol, she gets drawn into the mystery of a wealthy local businessman's murder. This was a very enjoyable mystery! I was interested in reading it because I love theater. (I worked in theater in my 20's.) I also love A Christmas Carol. These aspects of the story were particularly enjoyable to me. Sully is a great character - strong, brave, and resourceful. I enjoyed seeing her use her skills as a former police officer to solve a local mystery. The budding romance in the book was also a fun aspect. There are a lot of characters introduced during the first few chapters, and I found them a little hard to keep up with initially. Once I got a few chapters in, though, I found the book hard to put down. The book is well written, with well developed characters and an intriguing mystery. It moves quickly and is well paced. 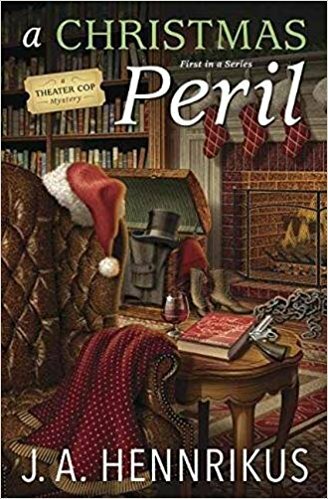 I recommend A Christmas Peril for fans of cozy mysteries. Anyone who loves theater will especially enjoy this book. J. A. Hennrikus is the author of the Theater Cop Mystery series. As Julianne Holmes, she writes the Agatha-nominated Clock Shop Mystery series for Berkley Prime Crime. 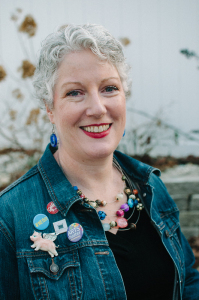 Hennrikus blogs with the Wicked Cozy Authors, is on the board of Sisters in Crime, and is a member of Mystery Writers of America. She is also an arts administrator who lives in Massachusetts. Visit her online at www.JHAuthors.com. I'm a fan of the Clock series which leads me to truly believe that any book written by this author will entertain me and help lift the cares of my day from my shoulders.